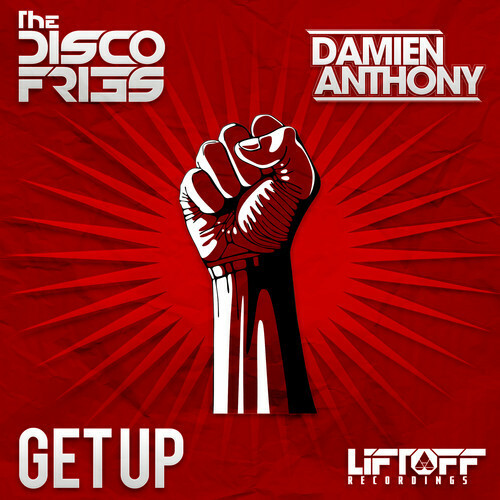 In celebration of recently hitting 50K Likes on Facebook, the Disco Fries teamed up with their Liftoff Recordings artist Damien Anthony to create “Get Up.” The original collaboration unleashes an attack of sawtooth baselines and blazing snares along with a clever lead to assault the ears. With a huge melodic festival style breakdown, paired with clever melodies and dramatic effects, “Get Up” sounds simply huge. blown out basslines. In celebration of Tiësto receiving the DJ Mag & KLM DJ Legend Award, he released a highly celebrated free download titled “iTrance” featuring the Disco Fries. The track was very well received by fans & critics alike as it was common discussion that the tracks influences were rooted in Tiesto’s earlier trance releases, something the Fries have always mentioned as being one of their main influences in their production. A recent post on the Disco Fries Facebook hinted at a single being signed to Armada while there’s rumors of the duo working on productions for Musical Freedom. Their remix for Foxes “Youth” recently became a part of another #1 Billboard Dance Record while “iTrance” and “Lose It” have all been added to BPM-SiriusXM rotation. In addition to The Disco Fries officially remixing artists from Katy Perry and Flo Rida to Foxes and Cobra Starship, they’ve just landed another #1 Billboard record this week with their remix alongside @TommieSunshine of Donna Summer’s “MacArthur Park”. Regardless how you cut it, 2014 is shaping up to be a break out year for this dynamic duo. You need to check out this awesome track and download it since it is free!